A chain mail was forwarded to Sandra and her friends. While some of them passed it around, others ignored it. 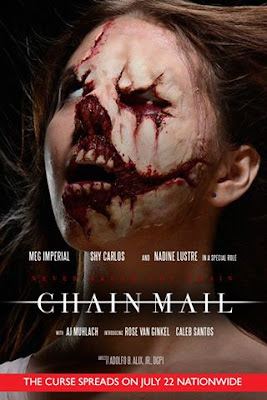 When one of her friends died after ignoring the chain mail, a series of unexplainable deaths followed. Determined to find out the mystery and to stop the curse of the chain mail, Sandra begins to dig deeper for the truth. Will she break the curse before it’s too late or will she become one of the victims? Starring Meg Imperial, Shy Carlos, AJ Muhlach, Rose Van Ginkel, Caleb Santos, and Nadine Lustre in a special role. 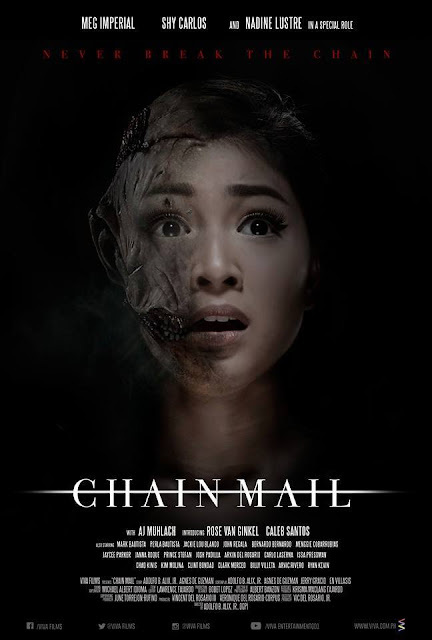 Written and Directed by: Adolfo Alix, Jr.
Manginig sa takot dahil malapit na ipalabas ang Chain Mail in cinemas. 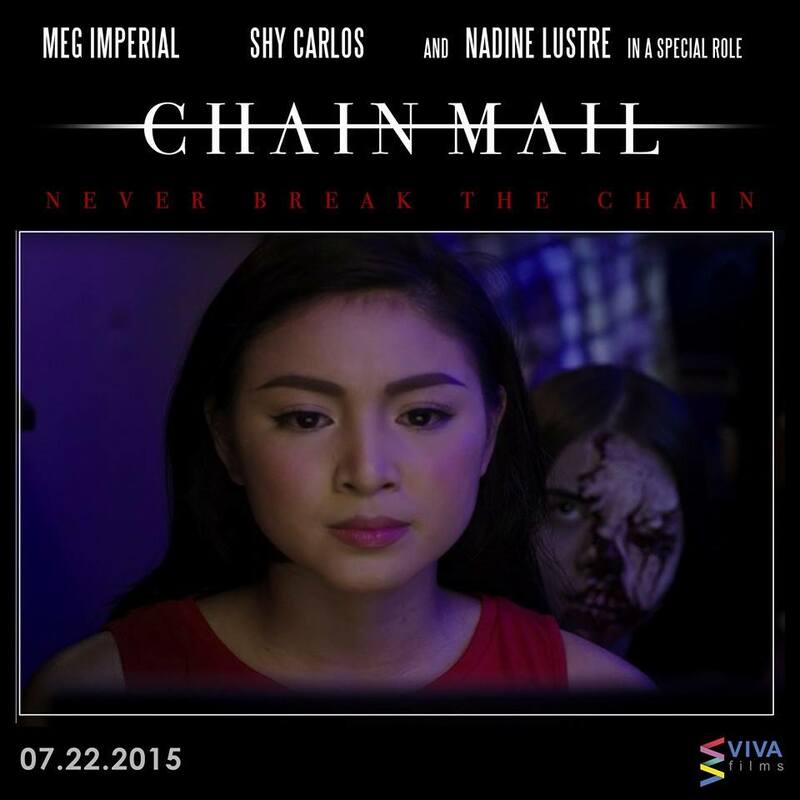 Sa July 22 na!.